On my way to the Pinnacle Bank Arena doors on Wednesday night, I heard a noise coming from the court and made a detour to investigate. The sound was coming from senior point guard Glynn Watson Jr. getting shots up with the help of a couple managers, about 45 minutes after the end of arguably the worst performance of his career. 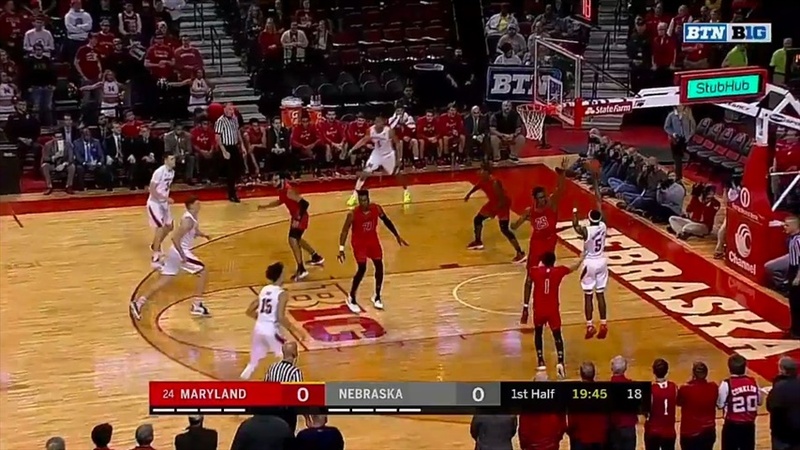 In Nebraska’s 60-45 loss to Maryland, Watson went scoreless for just the second time in his Nebraska career and first since his freshman year. He missed all 10 of his shots including both of his 3s and missed his lone free throw as well. He had just one assist and was a game-worst minus-20 in 38 minutes. On a day of terrible performances by nearly everyone in a Husker uniform, Watson’s stood out and follows a trend of three straight terrible games from Nebraska’s most experienced player. Since Isaac Copeland Jr. went down for the season, Watson has 11 points on 5-of-32 shooting (0-of-13 from 3) with two assists and four turnovers in 104 minutes. Watson is in a serious funk, and I’m not sure what can pull him out of it. He hasn’t been effective in any phase of the game on the offensive side of the ball and it is killing the Huskers. 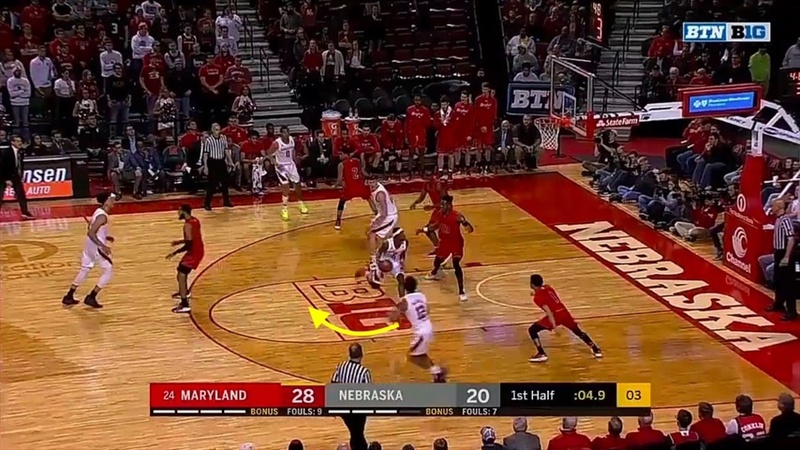 On Nebraska’s first possession, the Huskers ran Watson off a down screen. 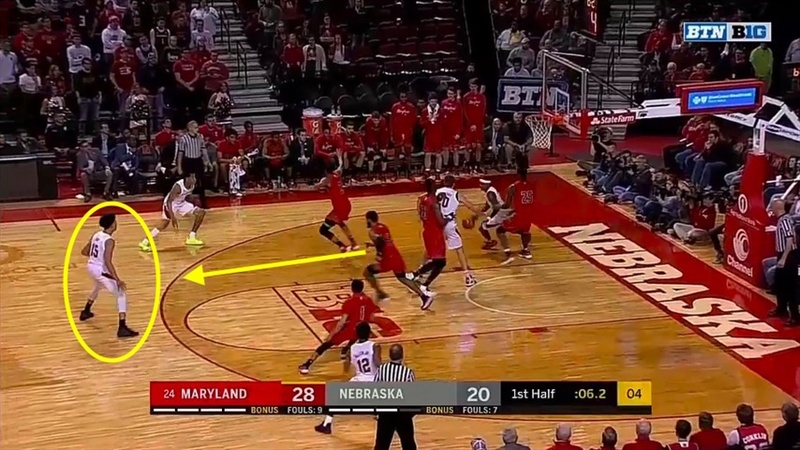 Anthony Cowan Jr. ran over the screen instead of chasing Watson, so he flared out wide and Tanner Borchardt passed him the ball. Watson caught it and immediately put the ball on the deck looking to drive baseline. 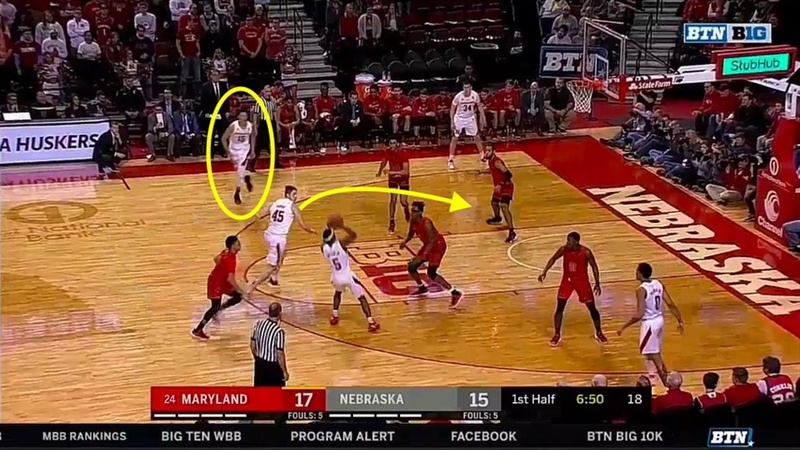 After setting the screen, Isaiah Roby popped to the wing as his man, Jalen Smith, dropped into help to cut off Watson’s drive while Cowan chased him from behind. Watson never even looked at Roby, however, and tried to shoot a 10-foot floater over the outstretched arm of the 6-foot-10 Smith. It did not go in. 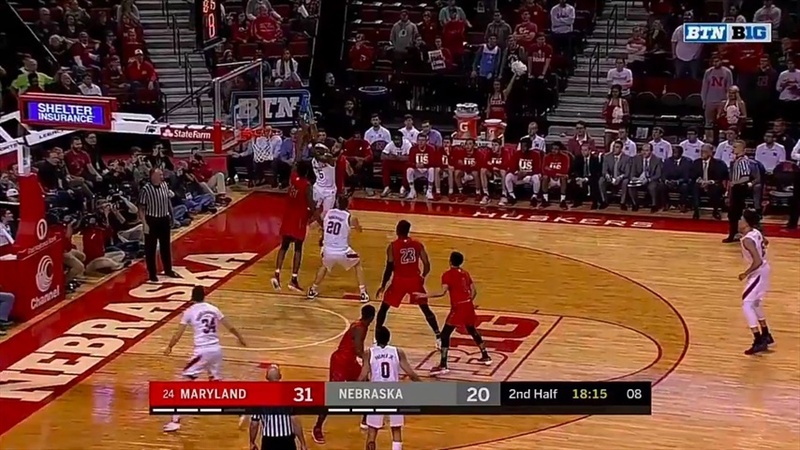 That’s a really tough shot and not exactly what you’re hoping to get on your first possession of the game, especially with 18 seconds on the shot clock. Watson went more than six minutes before his next shot attempt. He caught the ball in the corner, used a head fake against the defender closing out, dribbled once to his left and pulled up for the jumper. He missed. James Palmer Jr. was open on the perimeter for the kick out, but it’s not like palmer’s been tearing up the nets either. Six minutes later, Watson caught the ball in the corner with 3 seconds on the shot clock and a defender in his face. He elevated and shot over the top, but missed. In that case, he didn’t really have any other option besides taking a shot clock violation. 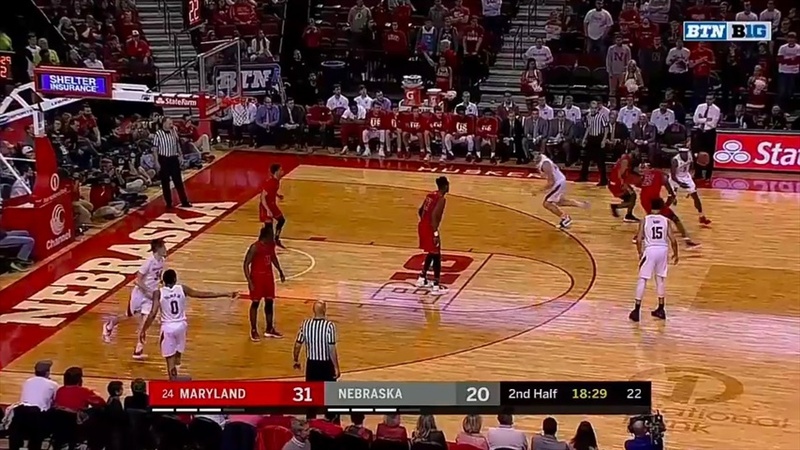 With just under seven minutes to play in the first half, Roby handed the ball off to Watson circling around and he immediately dribbled into a pick-and-roll with Brady Heiman setting the screen. Watson took two dribbles and pulled up. As you can see, Heiman’s man, Smith, rotated over to cut off Watson. Roby’s man, Ricky Lindo Jr., was looking to tag the roller, though he wasn’t in position yet. If Watson had not predetermined what he was going to do, he might have been able to pump fake Smith and hit Heiman on the short roll, or perhaps he could have hit Roby on the opposite wing with the skip pass. Either way, he had options. Instead, he forced a terrible fadeaway jumper over Smith’s contest with 17 on the shot clock and bricked it. 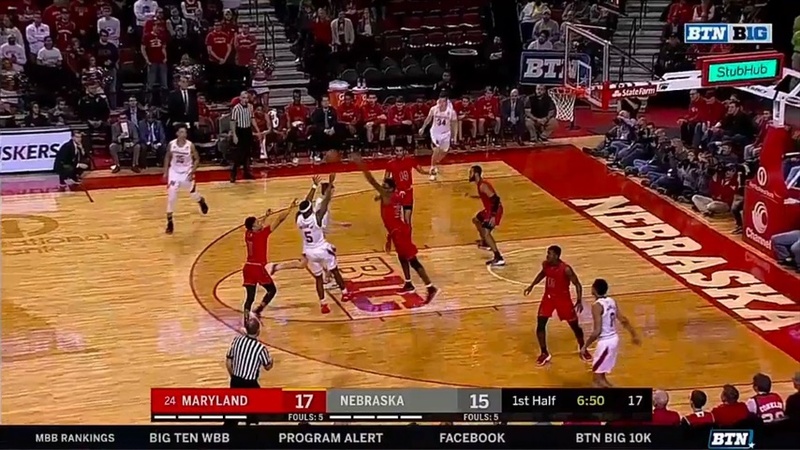 A couple of minutes later, Nebraska caught Maryland in a scramble situation and had Lindo switched onto Watson, which should be a mismatch for Nebraska. 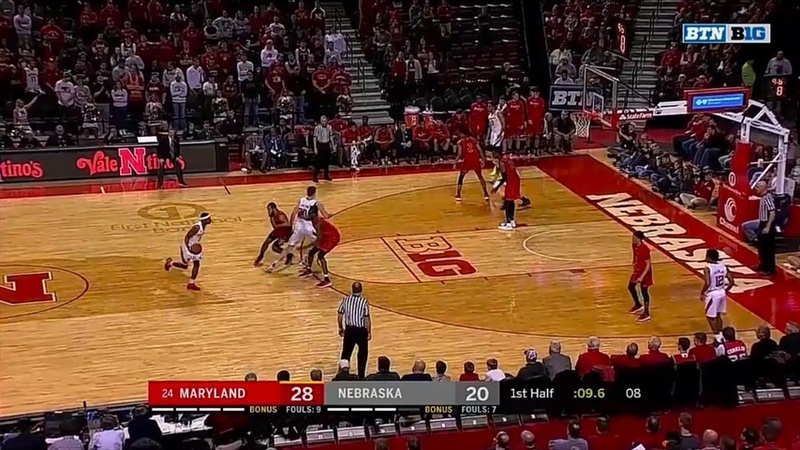 The Huskers got the ball to him at the top of the key with plenty of time on the shot clock. Watson looked to attack using a hesitation move into a crossover … into a sideways step-back just inside the arc. Roby is wide the heck open in the corner, but instead Watson decided to force another fadeaway jumper over Lindo’s contest. 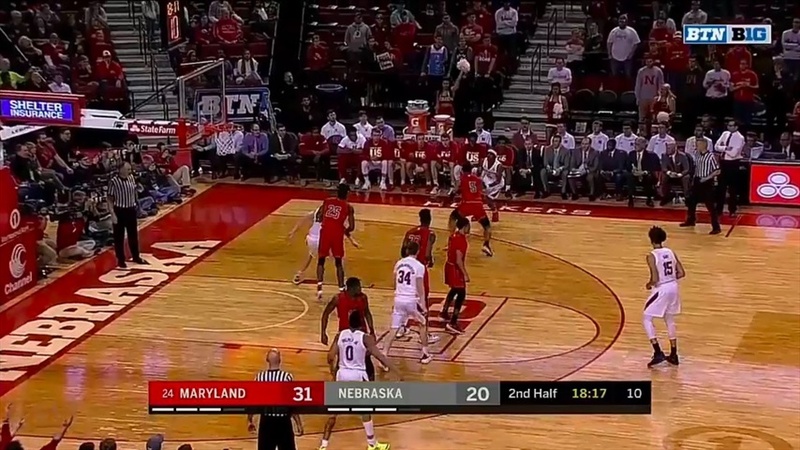 The long step-back jumper was – surprise, surprise – way short. Watson had a big man switched onto him and he decided that was the best shot that he could create. Generally, having the ball in your senior point guard’s hands for the last possession of the half is what you’d want. 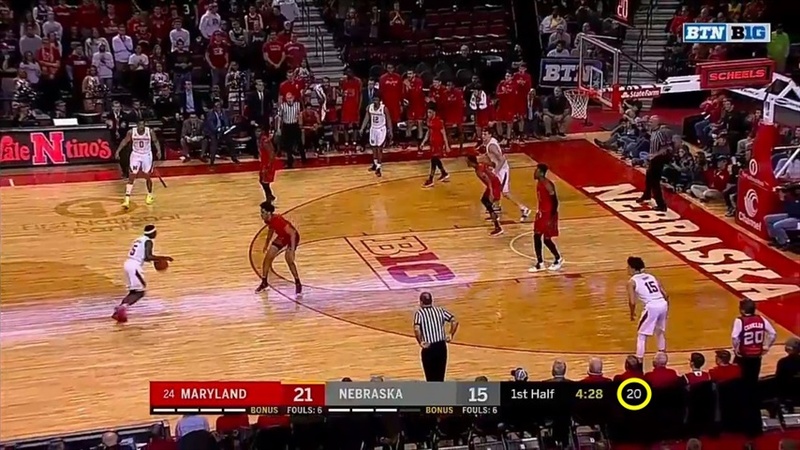 Watson ran the clock down under 10 seconds then got into Nebraska’s action, a pick-and-roll with Borchardt. Smith stuck with Watson while Eric Ayala trailed him as well. With two guys on him, Watson should know that somebody is open. Borchardt rolled down the lane. While Roby rotated to the top of the key, his man, Fernando, sunk down to tag the roller, but he’s behind Borchardt who has a decent seal. 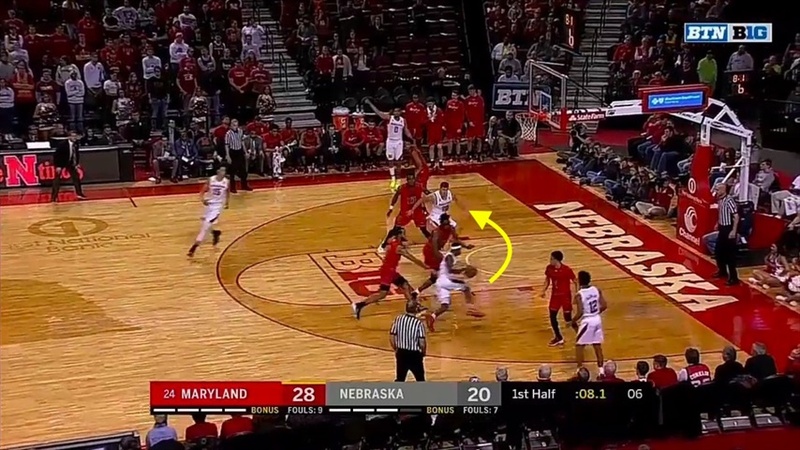 With Smith on his hip, Watson might have had a chance for the wrap-around pass to Borchardt for a layup attempt. Instead, he kept his dribble alive. Watson crossed through the lane and Smith stuck with him while Ayala gave up pursuit to recover to Roby. Watson still has time to get him the ball before Ayala can get there, but he decided to keep dribbling instead with 4 seconds on the shot clock. He dribbled around Borchardt and Fernando switched onto him with Smith taking Borchardt. 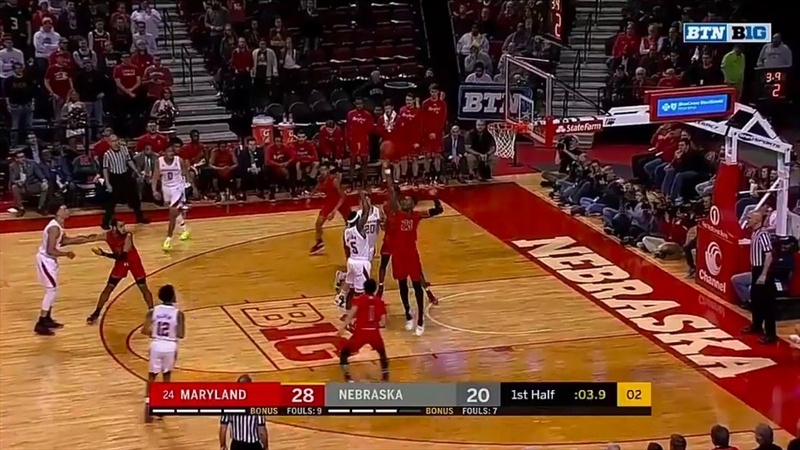 Thomas Allen Jr. made a nice cut and caught Cowan off-guard, creating some space for a potential catch-and-shoot jumper. But Watson never even looked at him and already has eyes on the rim. Watson hit Fernando with a head fake that the 6-foot-10 sophomore didn’t fall for, then Watson tried to throw up a floater over the top, which Fernando blocked pretty effortlessly. Watson missed three open teammates during the play only to get blocked himself. Missing teammates was something of a theme. A lot of teams against Nebraska this season have doubled the ball-handler in the pick-and-roll or at least hedged and recovered, yet the Huskers rarely make teams pay. Here’s an example of that. Borchardt rolled, Fernando jumped at Watson and Watson retreated and passed out. 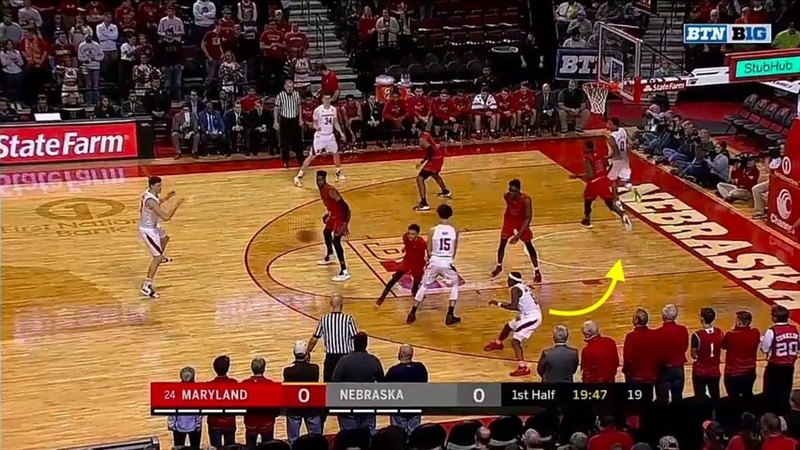 Whether he thought he was too small to get the pass through or he didn’t recognize the opportunity, Nebraska got nothing out of this pick-and-roll, a very common occurrence. Later on that same play, Nebraska kicked the ball to Watson on the wing with 10 seconds on the clock. Watson faked his man into the air and attacked to the baseline side. Borchardt was posting up and had Smith sealed on the block. 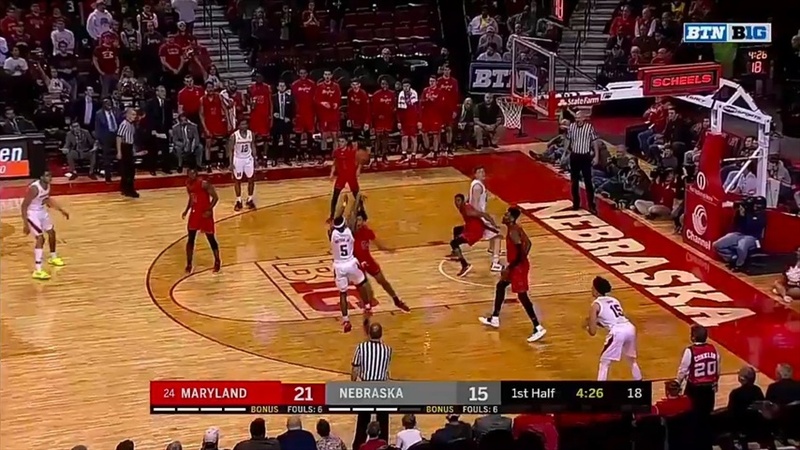 Meanwhile, Maryland forgot about Thorir Thorbjarnarson who had an opportunity to slip to the rim here with both Fernando and Cowan ball-watching (which also leaves Roby open at the top of the key). Watson had already called his own number, however, and tried to get another floater off. But Ayala was right on his tail and Smith slid around Borchardt’s seal. With 8 seconds still on the shot clock, Watson had his stuff packed. Badly. I’m not quite sure what happened on his eight miss; the replay on BTN2Go skips. On his ninth miss, he got blocked again. He caught the ball on the wing, drove to the middle, tried to extend and finish with his right hand and Fernando stepped over in help and annihilated the shot. His final shot was a contested 3 after he curled off a screen but didn’t create a lot of separation. Watson’s one assist was a nice play. 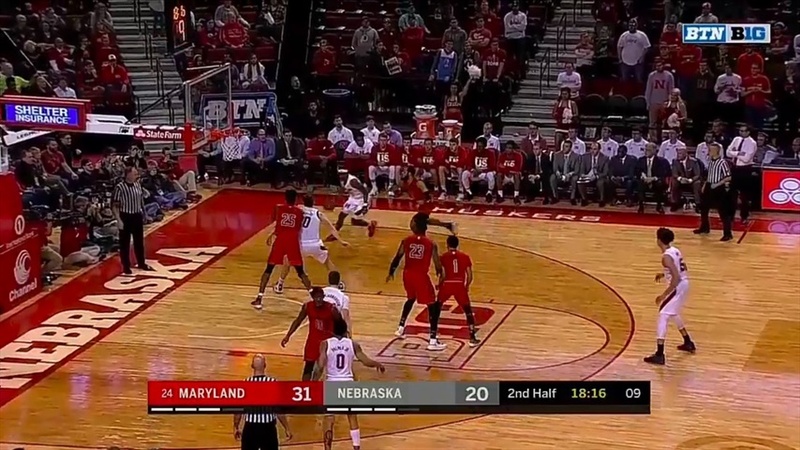 Nebraska ran a double screen up top. Watson rubbed off the screen and put Cowan in jail (using his body to keep his defender behind him) while Roby rolled to the rim. Darryl Morsell helped off Nana Akenten on the wing to tag the roll man and Watson, who kept his head up this time and didn’t predetermine anything, hit Akenten on the money with a kick out and Akenten nailed it, his first made 3-pointer since Jan. 6. Watson only had one, maybe two other assist opportunities all night. He either missed open teammates or his passes didn’t create any openings. 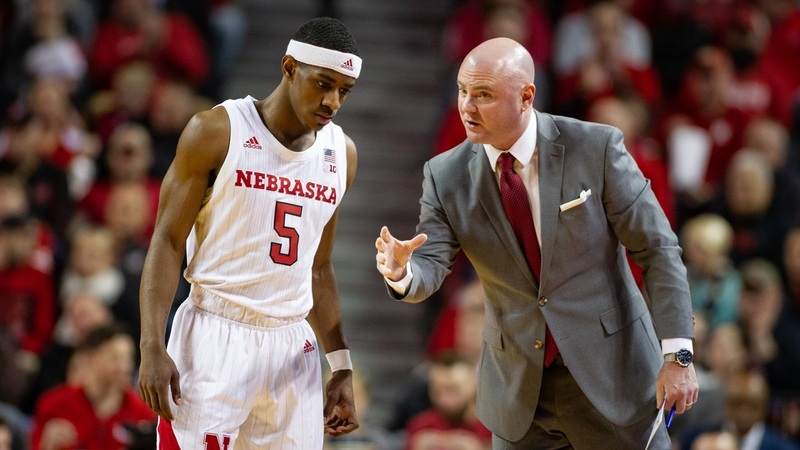 In order for Tim Miles to get things turned around for the Huskers as a whole, he first has to find a way to get Watson going again. 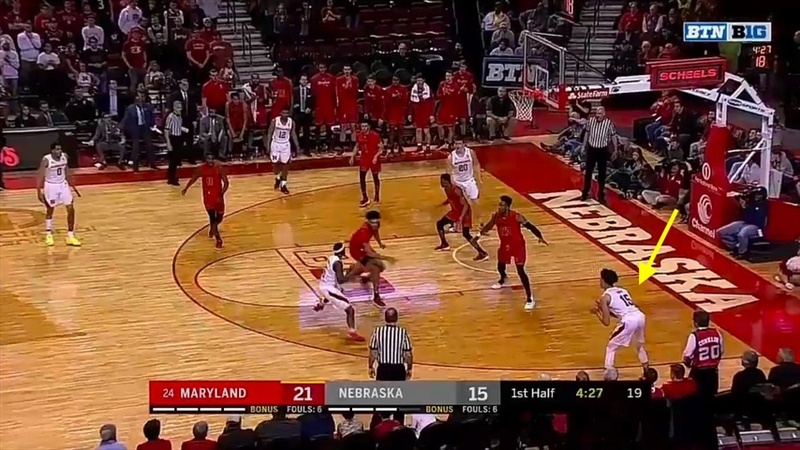 Watson has made a career out of difficult shots, and his small stature makes it tough for him to consistently create easy opportunities around the rim (especially with Nebraska’s lack of spacing), but if this Maryland game was the best Nebraska can do in terms of creating opportunities for Watson, then the Huskers are in big trouble.